The Reigning Queen Umbrella from Jawbreaker is a transparent, dome-shaped umbrella. 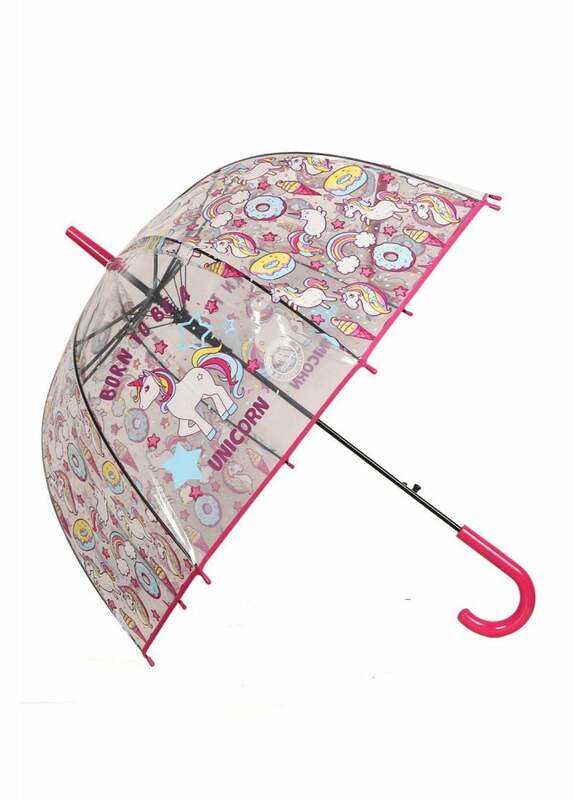 The kawaii style brolly is printed with unicorns, donuts, rainbows, ice creams and cats with a 'Born To Be A Unicorn' slogan. The umbrella has a pink handle and is wind-resistant due to its shape, so will keep you extra dry.